From the beautiful Lake Myvatn flows an even more beautiful river, the Laxa Myvatn River. It is considered by many to be one of the most beautiful rivers in all of Iceland and beyond. One of the best things about this river is that it is full of brown trout. And these fish are no ordinary creatures. They are big and fat from gorging on the rich insect life this very nutritous and healthy river produces and is habitat and important food source for so many species of birds as well as these monsterous brown trout. This is the beat below the Laxa in Myvatnssveit. Here a total of 10 rods are allowed at any given time and so plenty of room for each angler to fish. Here the character of river is different from the upper beat at Laxa Myvatnssveit and the access to the river is easier in most cases. The river is wider and slower making it the perfect setting for dry fly fishing for enormous brown trout. The average size of trout sipping midges off the surface has to be seen to be believed. Leave your 6X tippet at home for this kind of fishing but make sure to bring your smallest dry flies 'cause these fish can be fussy as well. LODGING DETAILS: Anglers stay in the Raudholar lodge where full board accommodation is provided in rooms with shared facilities and free Wi-Fi internet. Cell phone reception at the lodge is great but some areas on the river have blind spots where there is no signal. LENGTH OF STAY: The typical lodge package at Laxa in Laxardalur is seven (7) nights / six (6) days of fishing. 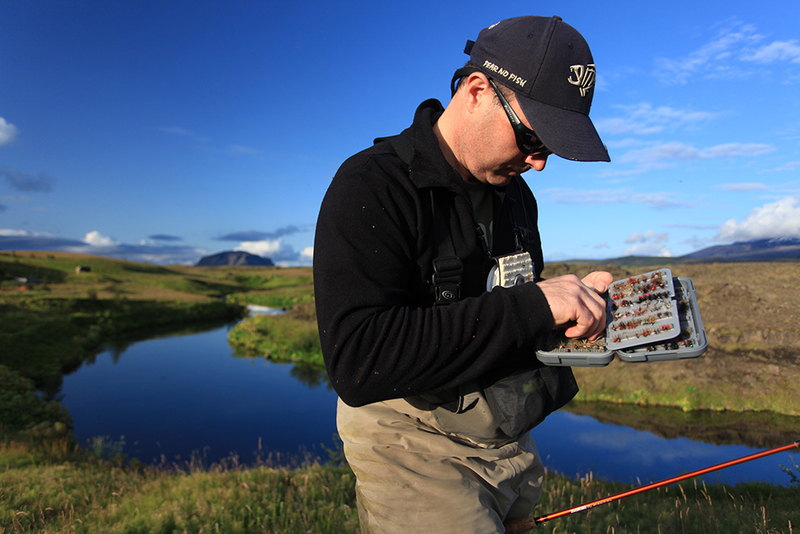 NON-ANGLING ACTIVITIES: Laxa in Laxardalur is situated in a very remote part of Iceland, and overall, this is a fishing-focused operation. However, with that said, there are a handful of non-angling activities including birdwatching, enjoying the wonderful landscapes, and trekking in the remote landscape. INTERNET/COMMUNICATION: The lodge offers guests unlimited Wi-Fi internet access. Cell phones do not work in this area. GENERAL INFO: This is the beat below the Laxa in Myvatnssveit. Here a total of 10 rods are allowed at any given time and so plenty of room for each angler to fish. Here the character of river is different from the upper beat at Laxa Myvatnssveit and the access to the river is easier in most cases. The river is wider and slower making it the perfect setting for dry fly fishing for enormous brown trout. The average size of trout sipping midges off the surface has to be seen to be believed. Leave your 6X tippet at home for this kind of fishing but make sure to bring your smallest dry flies 'cause these fish can be fussy as well. New for 2017 - The Stadartorfa beat is now included in the Laxardalur fishing but the fishery still only fishes 10 rods. The Laxardalur will be fished on a "catch and release" basis from 2017 onwards and it's our hope that this will produce even bigger brown trout in greater numbers. The beats above the dam are considered by many to be the best trout fishing available in the world. The number and size of brown trout are incredible. We are proud and honored to be able to offer the Laxa Myvatn River to our clients. There are several different beats on the Laxa Myvatn and each is given a name representing the farm that owns the bank of the river where you are fishing. All the beats are different in size and character but each of them has many great pools and runs that offer spectacular fishing. Most of the beats allow 2 rods any given time while the bigger ones have 3 rods. The fishing is done in two 6 hour sessions with the morning session lasting from 8:00 - 14:00 and the evening session lasting from 16:00 - 22:00. Meals are served at the lodge accordingly. During each session two beats are rested so the fishing pressure on the Laxa is kept at a minimum. The Laxa in Myvatnssveit beat requires some walking but there are always pools that have easy access on all of the beats. Wading can be tricky at times but that only applies to the pools where you need to get to the sweet spots that hold the biggest fish. 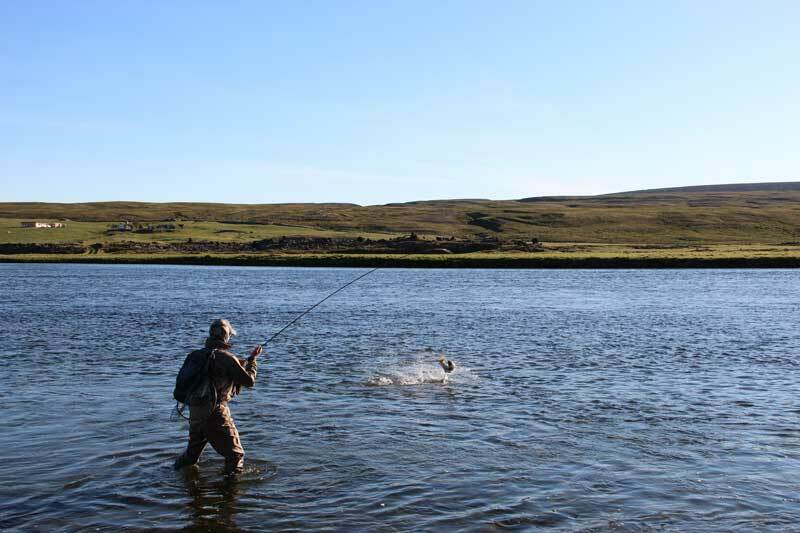 We advise everyone thinking about fishing the Laxa in Myvatnssveit to do so with an experienced guide who knows the river, where to wade and where the big residents live. EQUIPMENT REQUIRED: Almost all fishing in the area is done while wading and fishing from the banks of the river. Laxa Myvatnssveit is located in the north part of Iceland 90 km from Akureyri. For fishermen traveling to Laxa in Myvatnssveit, we recommend that you fly from Reykjavik to Akureyri, approx. 50 minutes, followed by 1 hour drive to the Laxa river. http://www.airicelandconnect.com/ Air Iceland Connect. You can also drive from Reykjavik to River Laxa, approx. 450 km, approx. 6 hours. Another alternative is a cross country 4×4 driving through the highland road Sprengisandur, a very old connection between the north and the south of the country. A great opportunity to explore Iceland. 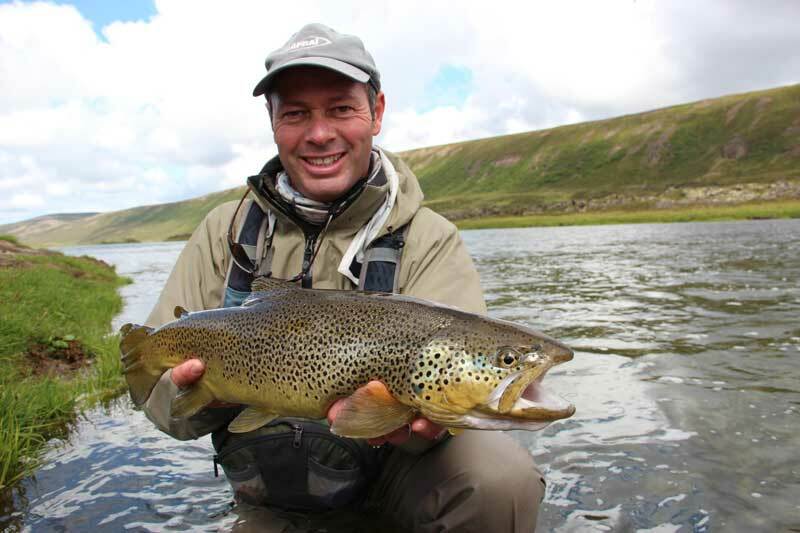 WHAT'S INCLUDED: All accommodations and meals at the lodge, Fully guided fishing two anglers per guide, All ground transfers from Akureyri to the lodge, use of wireless internet at the lodge. WHAT'S NOT INCLUDED: International airfare to Reykjavik, Domestic airfare from Reykjavik to Akureyri, Hotel and meals in transit, Personal equipment, all fishing gear, flies and tackle, Gratuities for guides and lodge staff.